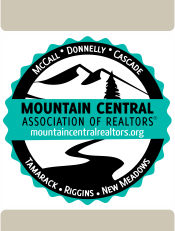 In 1975 the Mountain Central Association of REALTORS® received a charter from the National Association of REALTORS® and has been a force in Central Idaho ever since. In 2015 we will celebrate 40 years in existence and what a 40 years it has been. We have ridden the wave in the good times and held on during hard times. Interestingly enough several of our members were real estate agents before that charter was issued. 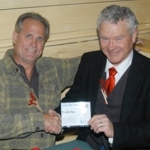 They have been serving the real estate needs of people in this area for almost half a century. You can't beat that kind of expertise and dedication! Primarily we are a second home recreational market. To be successful in this market requires special skills and knowledge and we do our best to educate ourselves to serve our clients. Our market area is abounding in natural beauty and provides a special kind of lifestyle. Our agents have prepared themselves to answer all your questions and offer friendly guidance not only in a real estate transaction but also in what opportunities are available to enhance your particular interests so that the time you spend here, be it permanent full-time residency or part-time seasonal could be the best in your life. Buying or selling, it only makes sense to select an agent who is part of the fabric of our communities. They know about our market and life here!